Japan Airlines is giving its first class, premium economy and economy in-flight menus a Michelin-star overhaul on March 1, 2018, with new dishes and soba noodle sets set to be introduced on select international routes. Chefs Hideki Ishikawa and Kouji Koizumi of three-Michelin-starred restaurants Ishikawa and Kohaku, respectively, have developed a new menu for the airline’s first class passengers on Japan Airlines’ services from Tokyo Narita to Chicago, New York and Los Angeles, as well as from Tokyo Haneda to New York, San Francisco, London (flight JL043 only) and Paris. Dishes include Otsukuri sashimi, Owan soup, Kounomono pickled vegetables, and Takiawase (vegetables and meat typically served as part of a multi-course Kaiseki meal, among others. Meanwhile, also starting March 1, passengers in premium economy class and economy will be served “Air Japanese Soba Noodles Tsuta”, developed in collaboration with 79 Co. Ltd., which operates Japan’s first Michelin-starred ramen shop, Japanese Soba Noodles Tsuta. The meal consists of an appetiser of bok choy with cashew nuts, a chicken soba main course featuring bamboo shoots and thin omelette strips, and white peach jelly for dessert. These will be served on the airline’s services from Tokyo Narita to Chicago, Dallas Fort Worth, Boston, New York, Los Angeles, San Diego, Vancouver, Helsinki and Melbourne, along with flights from Tokyo Haneda to San Francisco, New York, London (flight JL043 only) and Paris, and from Osaka to Los Angeles. Both the first class and the premium economy and economy menus will run from March through May. A number of airlines recently have begun offering new menus on services to and from destinations in Asia-Pacific. 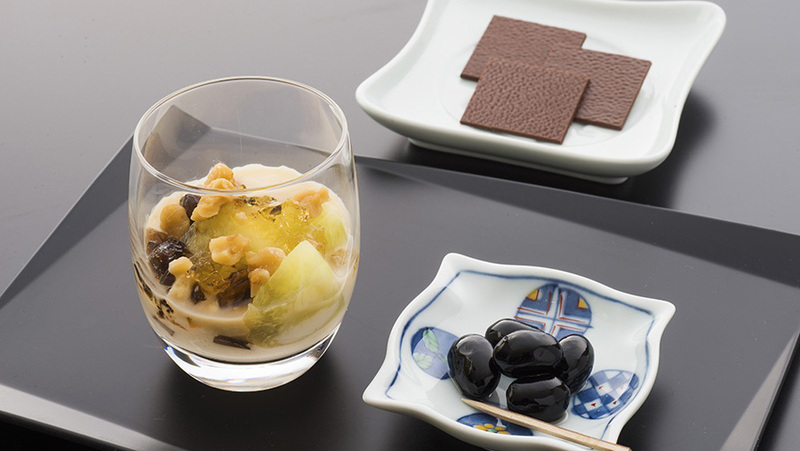 Finnair notably has begun offering a new menu for business class passengers on its Tokyo-Helsinki flights developed by Tokyo-based chef, Rika Maezawa.